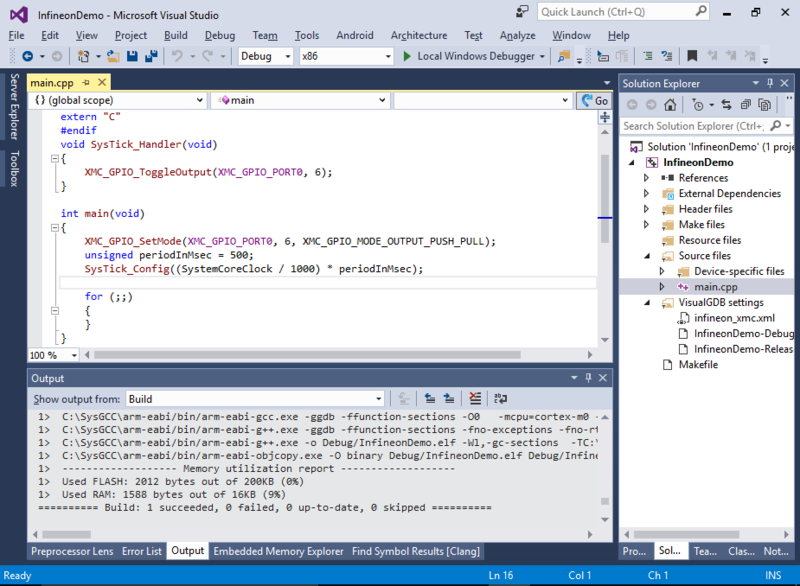 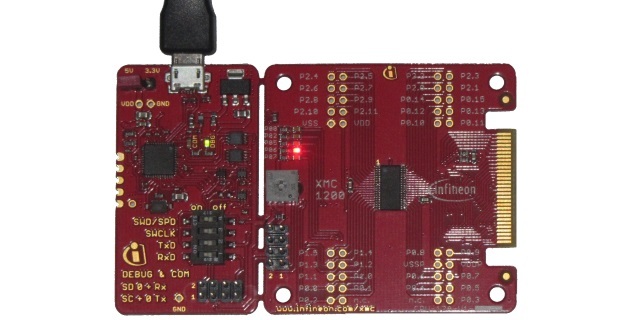 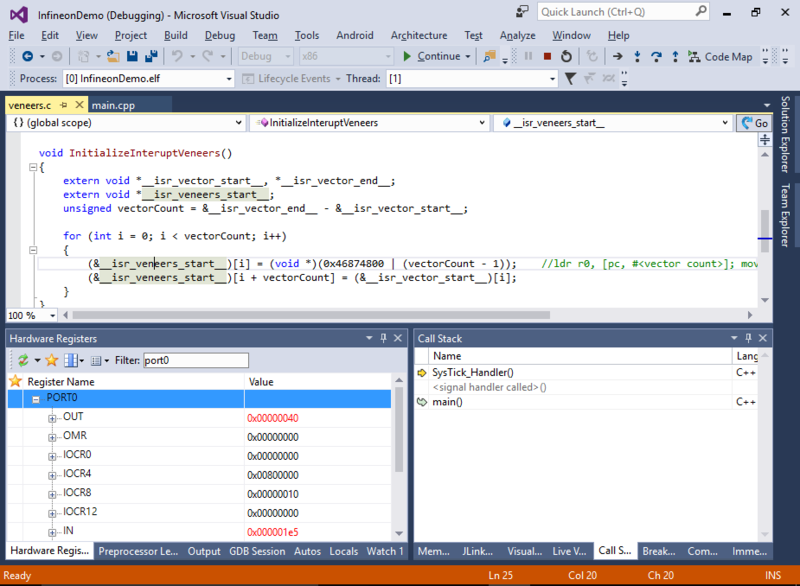 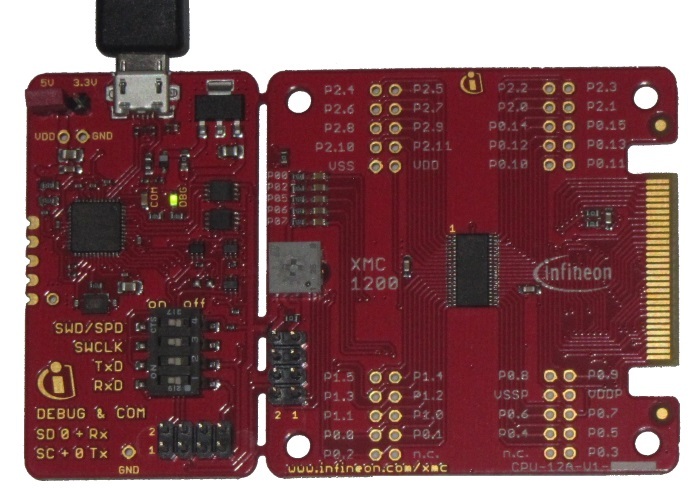 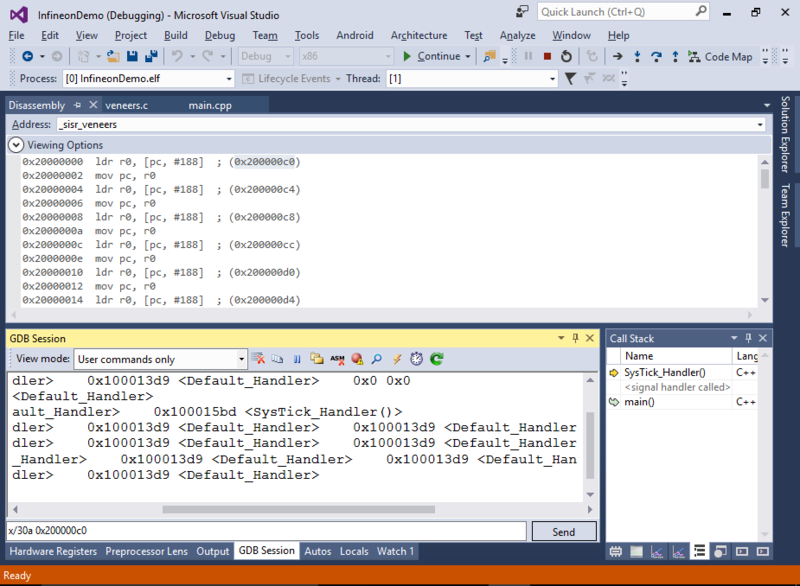 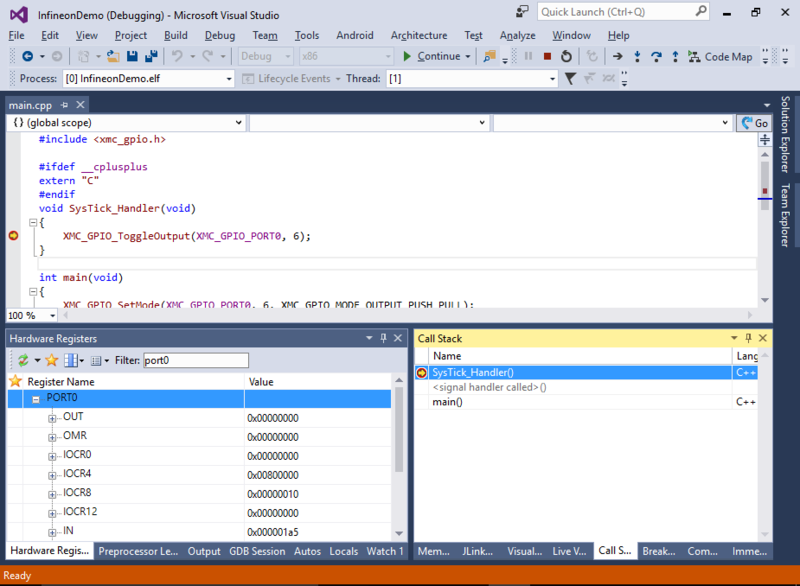 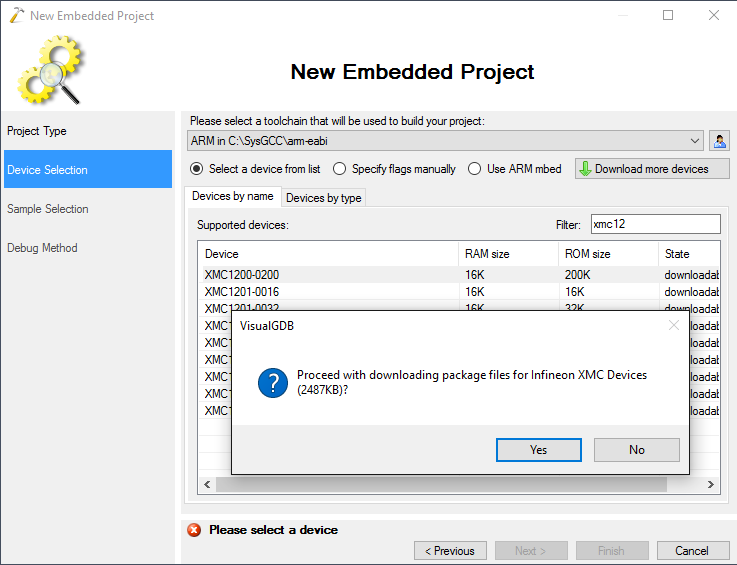 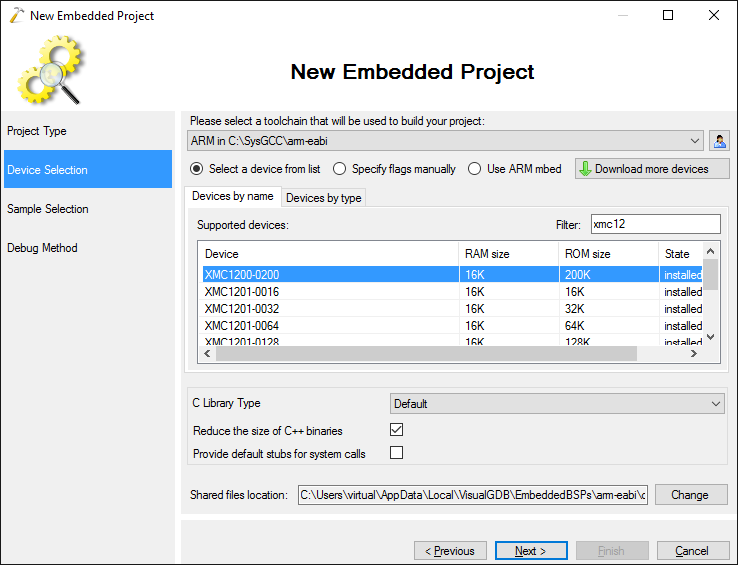 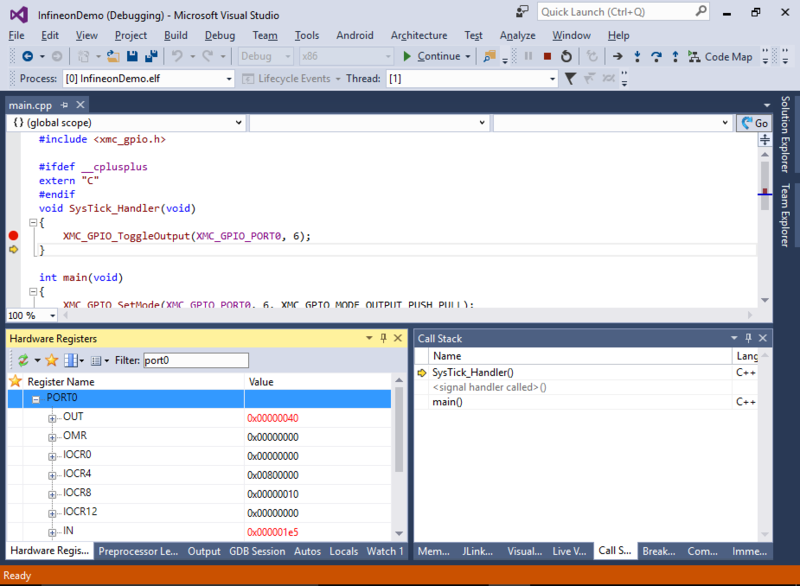 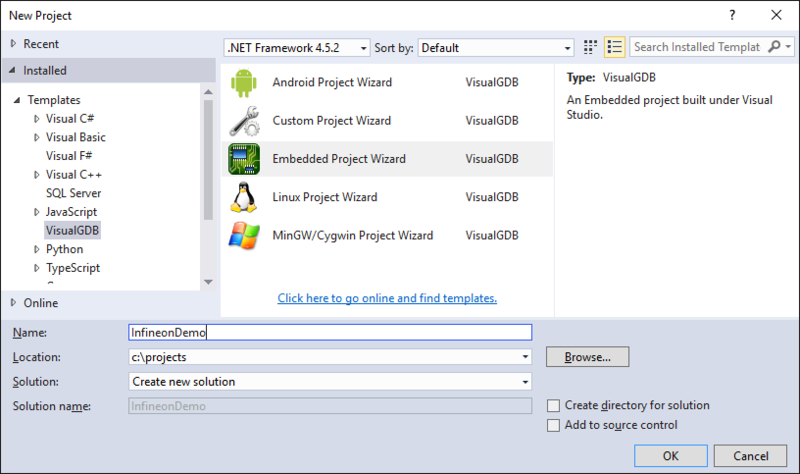 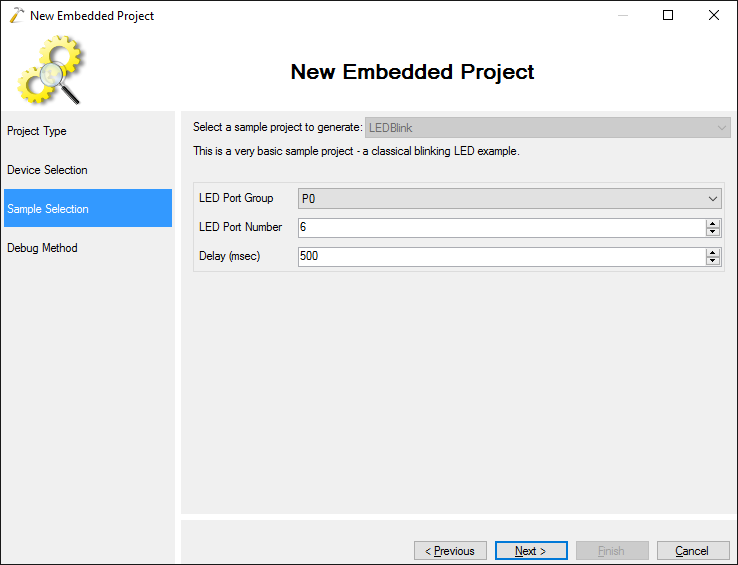 This tutorial shows how to develop firmware for the Infineon XMC devices with Visual Studio and VisualGDB. 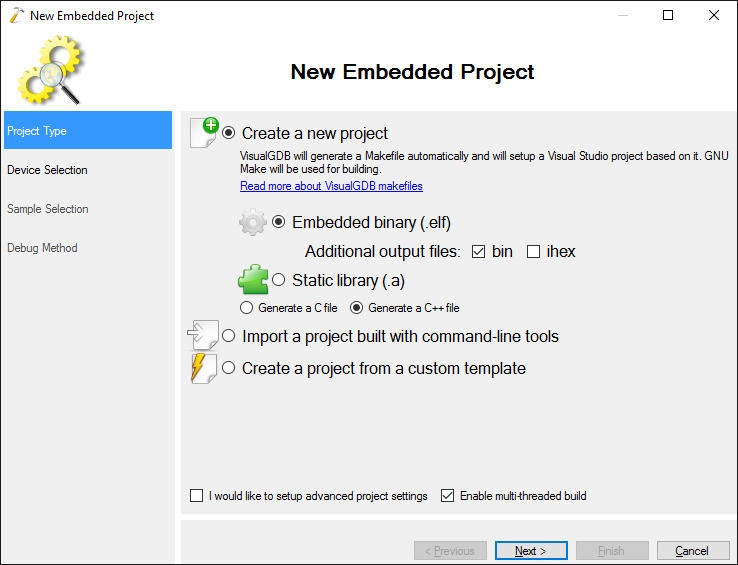 Before you begin, install VisualGDB. 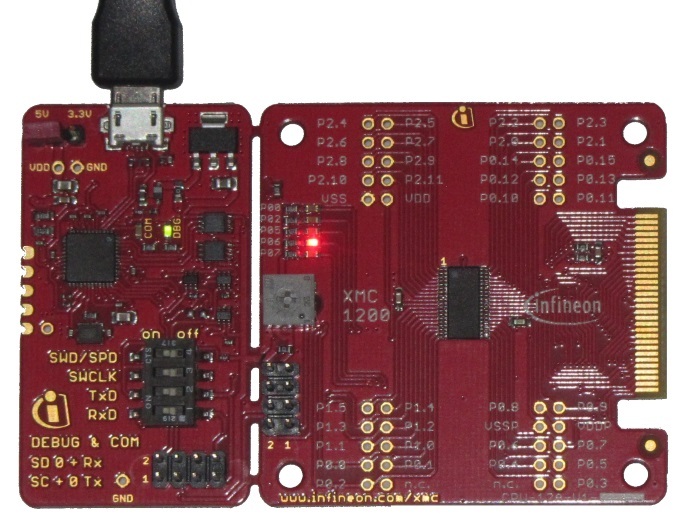 The Infineon development boards come with on-board Segger J-Link, so we will select “Segger J-Link” as the debug method. 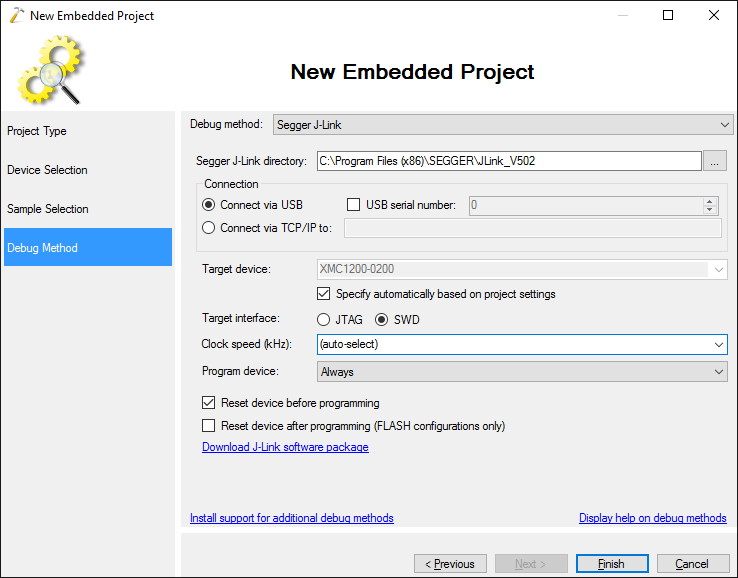 VisualGDB will automatically configure the J-Link software based on your device type: If you don’t have the J-Link software installed, you can download it from the Segger website.